Two or three times per year there’s a lottery jackpot that captures the attention of the nation. For some reason, the story turns into a media frenzy when the payout exceeds $300 million. 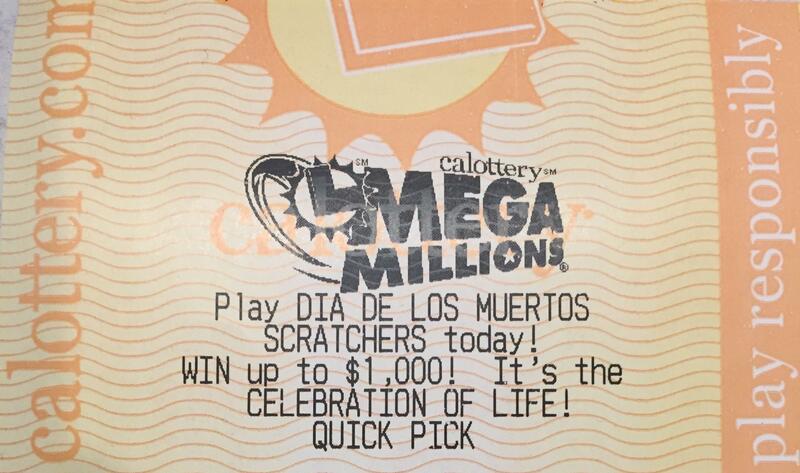 This time Mega Millions currently stands at an incomprehensible $1.6 billion. That’s billion with a “B”. How is that even possible? What I find particularly noteworthy about these lottery jackpots is that it forces me to bathe my mind in the extremely remote possibility of winning. As of the other night, that possibility stood at 1 in 303 million. So, you’re telling me there’s a chance?!?!? This is not a financial post about whether you should take the lump sum payout of approximately $904 million or opt for the 30 years of payments instead. It’s not about hiring an attorney to see if you can establish an anonymous trust to collect your winnings. And it’s certainly not an admonition about those poor lottery winners of the past that collected their payout only to see their life crumble to complete ruin. This post is about the fun and excitement that comes with thinking deeply about all the possibilities that accompany such a windfall and how one might use this exercise to advance their own life planning. I’m guessing the first year after winning would be all about accumulating the things I have always wanted; the upgraded primary residence, the waterfront homes in Pebble Beach and Lake Tahoe, the vineyard chateau in the Napa Valley, the private jet complete with pilots on standby, and of course all the new clothing. What billionaire wears the same outfit more than once anyway? Then there’s the travel, visiting every place I’ve always dreamed of seeing along with those I love. Imagine the freedom to go anywhere, anytime. The second year would likely be a bit of a wake-up call. Now that I’ve bought everything and visited the most amazing and inspiring places on this beautiful earth, what will I do with my life? It is the answer to this question that I find worth deeply considering. This is where, darn it, things get serious and will set the direction for the rest of my time on earth. If we remove money from the equation, what is there to do every day to maintain a happy existence and to leave the world a better place? Because the odds are so poor, let’s now consider that after the final draw Tuesday night neither your ticket or mine is among the lucky winners. Can we take the difficult answers to these questions and apply it to our life? If we’re not doing something that makes us happy every day, is it time for a change? If we’re not feeling like we’re working toward helping others in some way, is there another way forward? Over the years, I’ve often used another simple question to guide difficult decisions in my business and life, “If I had $100 million dollars in the bank, what would I be doing with my time and with whom would I be doing it with?” After careful thought, the answer for me has always been the same. I’d be doing exactly what I’m doing with my career because I love it. I have a passion for helping people with their finances and I enjoy the process of continuous learning provided by this profession. However, with all that money, I’d endeavor to do things differently. I’d only do financial planning for people I liked and respected. I’d only do the things in my business I’m uniquely gifted to do which also happen to be the things that bring me the greatest joy. I would partner with magnificent people who are exceptional at and find pleasure in the things I’m terrible at doing. It has always been through this exercise that I could tell whether or not I was on the right track. While money has always been a real consideration, thinking this way meant that I could at least move incrementally toward that perfect vision, noting that with money out of the picture I had boiled it down to the core of what is truly important. So please get lost for a while dreaming about all the possibilities that come with a pre-tax $4.4 million monthly income over the next 30 years. Get lost in your private jet sipping champagne as you careen across the Pacific to exotic islands and overwater bungalows. But then use this time to reflect on whether you’re spending your time on this planet using your gifts to your fullest, with those you love and value, and if what you’re doing with your time is making you happy. If there’s room for improvement, keep asking yourself, if after you bought all that you ever wanted, how your life would be different and start moving toward that. After all, if your financial plan works as planned, you’ll ultimately be faced these questions anyhow. Good luck on your Quick Pick and don’t forget I make a wonderful travel companion!